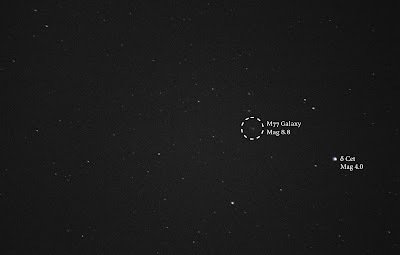 I managed to locate and possibly photograph M77 (galaxy) in Cetus... 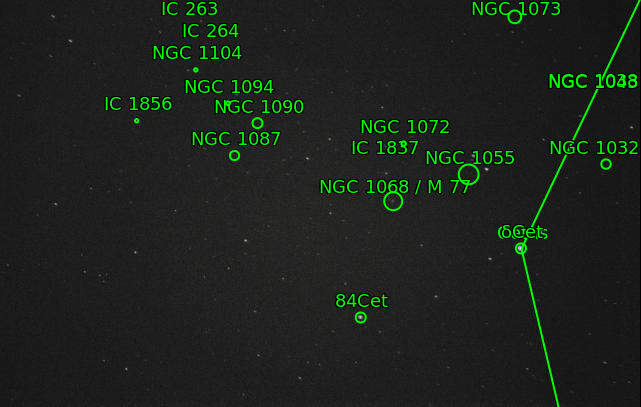 I'm not sure if this faint blob counts as a galaxy. 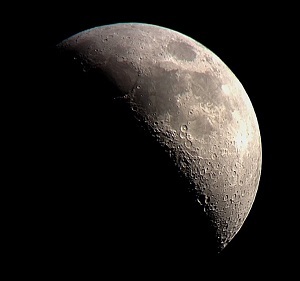 At magnitude 8.8 it is at the edge of what is possible with my camera set up on a fixed tripod. Since at least I know the location is accurate I'm going to go ahead and count it. This will be another on my list when I get my scope and motorized EQ mount outside. Maybe 17 frames wasn't enough to really bring it out, or maybe it's just too small to show up in my field of view. 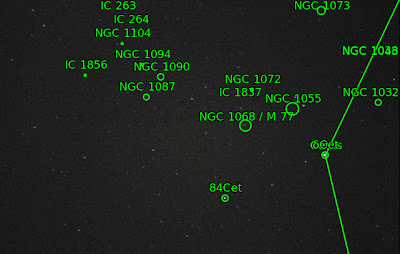 I uploaded the image to nova.astrometry.net, which is a great way to check what objects are in your image if you're not sure you caught something. 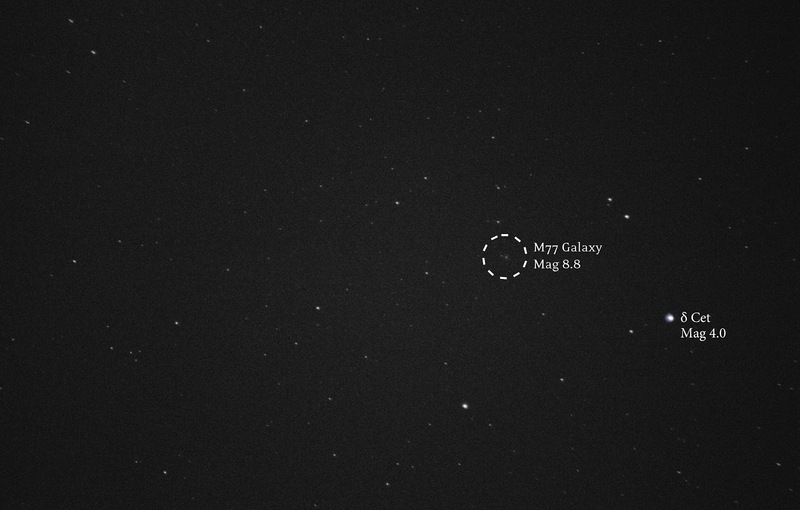 It looks like the fuzzy blob is indeed M77, so I'll count it as a hit!